Tapping the talents. Promoting inclusion. 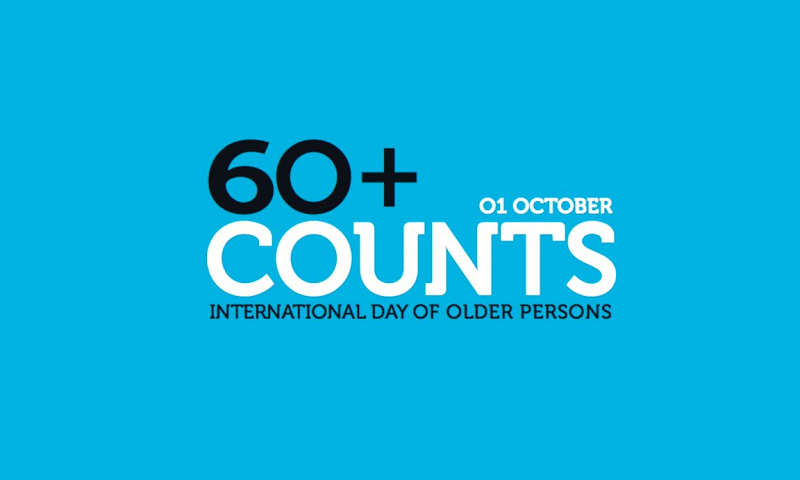 Since 1990, the United Nations have designated 1 October as the ‘International Day of Older Persons’. Every year on 1 October, we globally pay attention to older persons, their capacities and potentials, the respect for their human rights, their needs and expectations. Ageing in dignity and without discrimination are central here. It was clear already in the last decades of the 20th century: ageing and living in ‘ageing societies’, where life expectancy is rising and birth rates are falling, were becoming central challenges of our time. The international community started to highlight the situation of older persons in the Vienna International Plan of Action on Ageing, adopted at the World Assembly on Ageing in 1982. Since then, several international Declarations and Action Plans were introduced. They looked for a way to be embedded in binding regulation and implementation on all levels of government. On the European level, the binding and basic attitude of the EU concerning the rights of older persons is expressed in Article 25 of the Charter of fundamental rights of the European Union (2000): ‘The Union recognizes and respects the rights of the elderly to lead a life of dignity and independence and to participate in social and cultural life.’ In combination with the Union’s aim ‘to promote peace, its values and the well-being of its peoples’ (art. 3 Lisbon Treaty, 2002), the EU has a broad base to combat discrimination and exclusion and to promote social justice and inclusion. Nevertheless, continuous action is required to implement these basic principles. Demographic changes are affecting European societies in an undeniable way. Predictions are that by 2060, about 30% of the EU population will be aged 65+. The rise of the ‘oldest old’, those aged 80+, is particularly significant. However, these changes will affect some regions more severely than others. In 2030, the share of the population aged 65+ is projected to vary from 10.4% to 37.3% between different regions. Therefore, it is necessary that governments, public authorities, service providers, researchers, civil society organizations, media and all citizens are aware of the challenges of demographic change and ready to cope with it. As the European People’s Party (EPP) highlighted and agreed to in the Malta Congress of 26-29 May 2017 (see: Congress document ‘Europe secures our future’), the EU needs a general strategy to manage the demographic changes and to accelerate the deployment of new processes, products and services, enhancing the quality of life and health of older persons and reinforcing social inclusion. This general strategy needs to be based on a more positive vision on older persons and on ageing societies. Realizing the potentials of a longer life by moving emphasis from the limitations and weaknesses of older persons to their capacities and potentials (healthy life years, extended working lives, the Silver Economy, unpaid contributions through volunteering and care), is to the benefit of the individual, the community and society as a whole. As European Seniors’ Union (ESU), voicing the needs and expectations of older persons, we are glad to be part of this global movement of enhancing the possibilities of older persons, reinforcing perspectives towards inclusive societies for all. We are glad to celebrate seniors’ contribution to societies – as producers and consumers, volunteers and caregivers – and we underline that this contribution must be increasingly recognized. And yes, we are convinced that also in Europe it is necessary to highlight that every person regardless of age, gender or dependency is entitled to enjoy the fundamental rights and freedoms, anchored in national and international legal texts, action plans and measures. Too often, these fundamental principles need a better implementation. Recent studies of poverty, the relation between health care and poverty, the hidden suffering of older people in isolation or abuse show that also in Europe, not all older persons are enjoying their old age. In several member states, life conditions and social protection of older people can be improved. Negative stereotypes, misconceptions about older persons and ageism must be eliminated to improve the participation of older persons in economic, social and cultural life. European seniors know how important the EU was and is for the construction of peace, freedom and security. From a United Europe they expected prosperity and wellbeing for themselves and for future generations. Also today. Also today, seniors expect that the EU will respond to new challenges. Two of these challenges are demographic change and the development of inclusive societies. The European Seniors Union (ESU) is convinced that responding to the challenges of ageing societies, drawing attention to the human rights’ situation of older people as well in our own country as worldwide, is not only the responsibility of governments, but also of citizens and must take place on local, regional and international levels. It is essential that older persons themselves have a central role. Therefore, we feel committed to the issue. We call for the promotion of more positive images of older persons, underlining their universal human rights and the gains and strengths of older people for our societies, fighting ageism and discrimination, especially in workplaces and in health services. We insist on the permanent implementation of a human rights approach as the underlying framework for the development of age-friendly policies, active ageing initiatives and special services related to the specific needs of older persons. We urge the EU, member states and regions to develop strategies to cope with the challenges of demographic change and the potentials of living longer (healthy ageing, extended working lives, Silver Economy, volunteering…), stimulating intergenerational solidarity and providing the necessary conditions for adequate social protection and wellbeing. We invite the EU and the member states to engage actively in international initiatives on ageing policies and the protection of older persons’ rights (such as the UN Open Ended Working Group, OEWG) to develop legal instruments and action plans to protect and enhance the role of older persons all over the world. Let us celebrate our engagement in the global movement for the promotion of older persons’ rights. Let us build sustainable societies for all, where the potential of living longer can be fully realized and everyone can grow up and age in dignity.